Your credit score may seem like a random, relatively useless number, but it can impact your life in some unexpected ways. Poor credit can make it tough to get an apartment or even a job, and in some cases, bill providers can charge you for having a low credit score. In general, a healthy score means healthy financial habits. Here’s what happens when your habits aren’t so great. Let’s say you completely forgot to pay your credit card bill on its due date, but you paid it the very next day. Chances are, your score will remain intact. However, if you’re more than 30 days late, there’s a good chance the company will report this activity to the credit agencies (Equifax, TransUnion, and Experian). “Missing one payment or maxing out a credit card have major and swift impacts on your credit score,” Erin Lowry, founder of Broke Millennial tells, mental_floss. “The FICO score is still a little bit of the Coca-Cola formula of the financial world, but the higher you are the harder you fall. Someone with a 780 credit score will see a more drastic drop than someone with a 680. A high FICO score could see a drop as high as 100 points or more [for missing a payment]." According to Equifax, even a 30-day late payment can remain on your report for seven years. That’s not to say it will take your score that long to recover, though. You can improve your score by paying those outstanding accounts and staying up to date with future payments. Late payments can put a dent in your score, but as FICO points out, you can recover from them by paying them off. However, if you don’t pay at all, your debt will probably get charged off, meaning it’s turned over to a collection agency. This will ding your score a little more, although most of the damage has already been done. It’s a little more difficult to recover from a charged off account, because it’s not as easy as paying the bill. You may be able to settle the debt (and that should be done cautiously), but the original account will still remain on your report as negative activity. Negative activity typically stays on your report for seven years. “Amounts owed,” or credit utilization, makes up 30 percent of your FICO score. In a nutshell, credit utilization is the amount of credit you have available to you versus the amount you actually use. For example, if you have a credit card with a $20,000 limit, and you only use $5,000, your credit utilization is 25 percent of your credit. 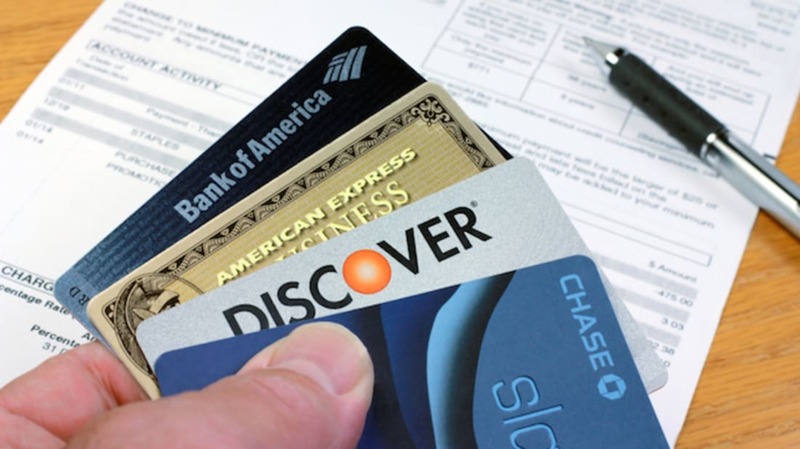 If you have a habit of maxing out your credit cards, that could hurt you, because you’re utilizing more credit. In other words, your “amounts owed” is high. The amount your score will drop based on your utilization varies, but here are a few averages, according to a Credit Karma study. According to Lowry and other experts, lenders do like to see some activity on your accounts, but carrying a large balance can affect your credit utilization, which, again, will work against you. Your best bet is to pay your card off in full every month. Make this a regular habit, and your credit score should rise. If you have trouble paying your mortgage or student loan and decide to ignore your monthly payments, you could end up defaulting. When you default on a student loan, your wages may be garnished. When you default on a home loan, you risk foreclosure. In both cases, your credit score takes a beating. Like a charged off account, a defaulted student loan will show up as a negative item on your report, and, depending on how high your score was to begin with, it can drop up to nearly 100 points. Experts say a home foreclosure can knock 200 points off of your score, and declaring bankruptcy can take you down a whopping 250 points. Bankruptcies also stay on your report for ten years, so it will take quite some time to recover. If you have trouble making your monthly payments, it’s important to get in touch with your loan servicer to see if there are options available.